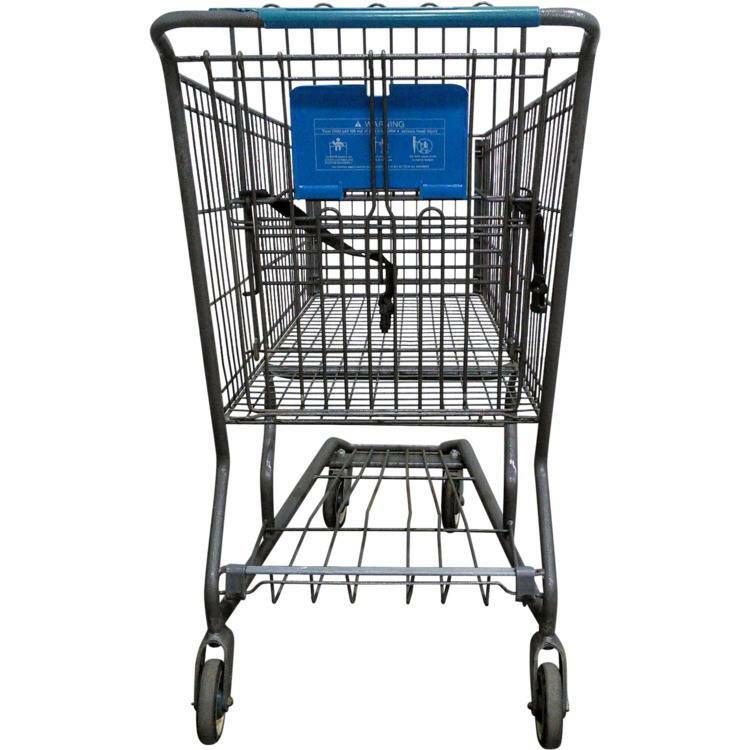 This large reconditioned shopping cart is 23" wide and is in great shape as they are. We will still make it available in either Level 1 with all new wheels or Level 2 with all good wheels. 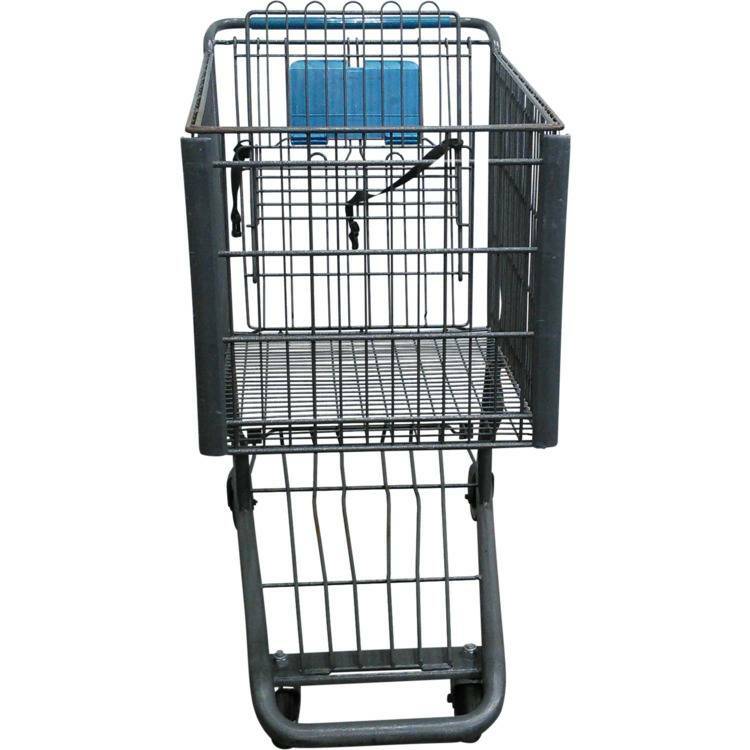 This reconditioned shopping cart is all gray and you can choose a handle color and printing. We can not print less that 4 handles please. 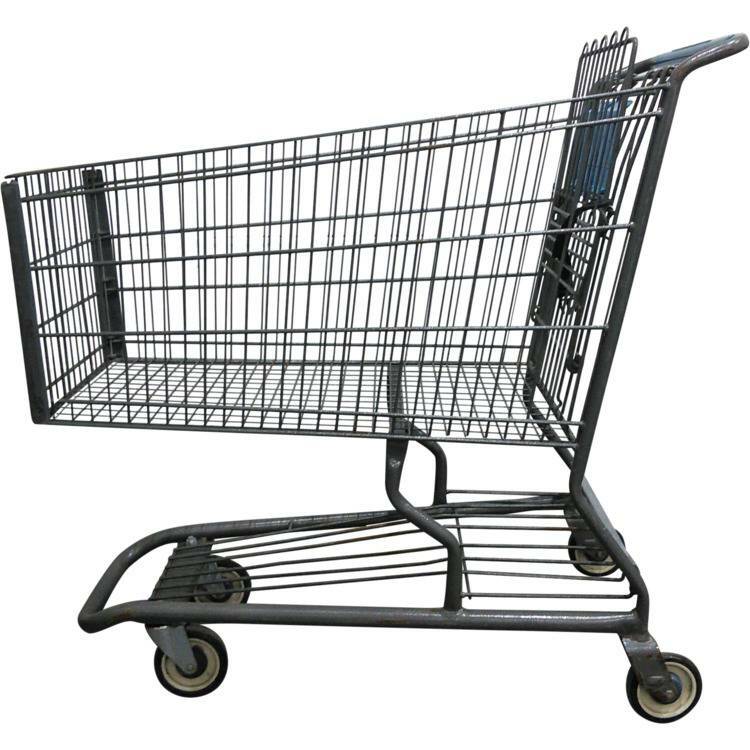 This cart would be great in a condo or a medium to large store. 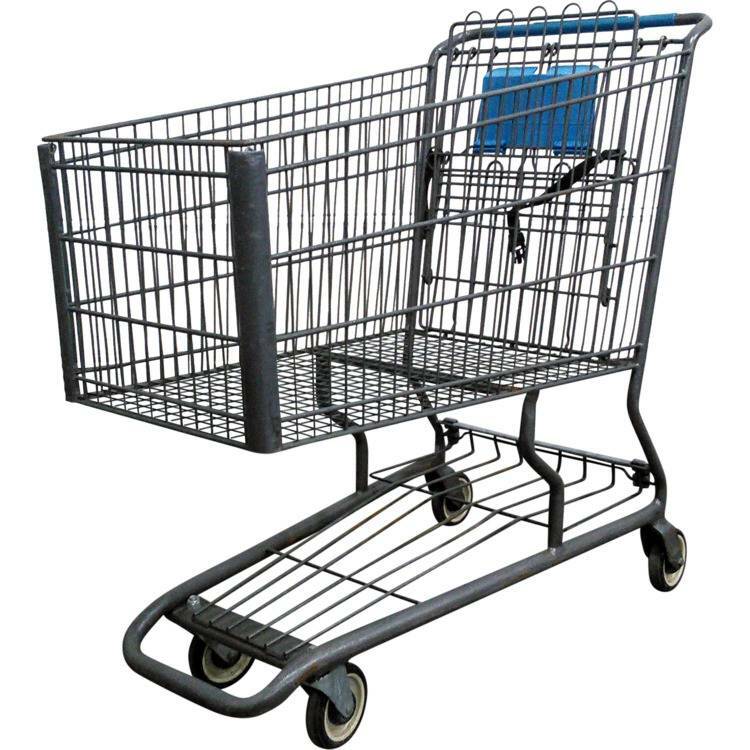 It is a great option in a smaller store to provide a couple for those larger shoppers as well. Depth of basket at nose 15"